YWCA Australia is seeking to recruit up to four appropriately skilled professionals to join the Property & Assets Committee, to support the organisation during a period of growth and transition. This is a volunteer position that may be based anywhere in Australia. It is anticipated that around 2-3 hours per month is required. YWCA Australia is a proudly feminist and secular membership organisation, committed to inclusion, excellence, innovation and integrity. YWCA Australia has an asset base of over $60M and employs more than 250 staff in 15 locations across Australia. The object of YWCA Australia is to provide benevolent relief to people experiencing poverty, homelessness, violence or disadvantage, in particular women and children. • Operates for-purposes businesses such as hotels that generate funds for reinvestment into our core mission activities. The YWCA movement in Australia has a proud 160 year history and a strong legacy of serving the needs of women. 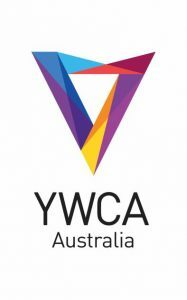 In June 2018, the YWCAs in Australia completed an historic national merger via Scheme of Arrangement, bringing together nine YWCA organisations in Australia to become a single national organisation. The aim oft he merger was to simplify our structure, create a platform for us to leverage our strengths and improve our efficiency and effectiveness as an organisation. Through achieving greater scale, we seek to ensure the future sustainability and growth of the YWCA movement in Australia. The transition is now well-underway and a CEO and Executive Team have been appointed to lead the integration work and our teams across the country. YWCA Australia is committed to Indigenous recognition and reconciliation and the active involvement of Aboriginal and Torres Strait Islander women in the organization. Achieving diversity of Directors is a key consideration in appointing the Board. Please quote in application: Property & Assets Committee Member via Pro Bono Australia.